A few weeks ago, CompanionLink announced their upcoming USB sync solution for the Droid, HTC Hero, and other Android-based phones. The solution will sync PC software (like Outlook and Lotus Notes) with phones running Android OS using the USB cable that ships with the device. The solution will also include a free Android app that will run on the phone. The app will contain custom calendar, notes and tasks modules that include advanced features such as categories and priorities. Here are two screenshots that show CompanionLink’s apps in development. 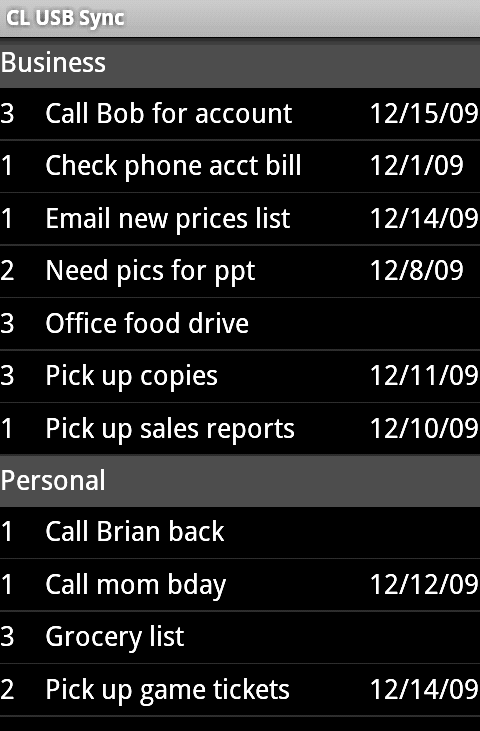 The first screenshot shows the Notes app with the ability to use categories to sort and view notes. 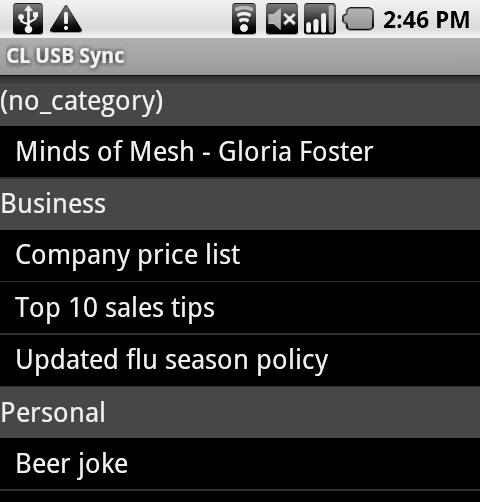 The second screenshot shows the Tasks app which categories and priorities. This entry was posted in Announcements, CompanionLink Products and tagged android memos app, android tasks app, android usb sync by Rushang. Bookmark the permalink.